More and more women are attending and graduating from university (in fact, more than men), but are actually underrepresented when it comes to working abroad. Only 25 percent of female expats move abroad for work, with 28 percent instead moving for love or for their partner’s work or education. To celebrate International Women’s Day, expat resource site InterNations’ took a look at the views of the 8,855 women who were surveyed in their Expat Insider 2018 report. The survey’s Working Abroad Index asked participants to rate their destination on factors such as career prospects, work-life balance and job security. Interestingly, the US didn’t fare too well in the list of best places to work – coming 29th out of 57 destinations. Female expats in the US rated both their job security and work-life balance lower than the global average, although there is encouraging news too, as 63 percent of women working in the US rated their career prospects positively, higher than the worldwide average of just 53 percent. For men, it’s even more encouraging, with 72 percent satisfied with their career prospects in the US. So if you’ve got your sights set on working abroad after your studies, read on to discover the 10 most popular places for women to work according to the Working Abroad Index. And if you’re a woman looking to study abroad, check out our list of scholarships for women here. Kicking off this list of the best places to work abroad as a female expat is Australia. Not only favored for its amazing weather and buzzing cities, 64 percent of women were satisfied with their jobs overall here, and its scores show a particular strength for the work-life balance factor – giving expats plenty of time to soak up the sun. Both Melbourne and Sydney also rank within the top 10 of the QS Best Student Cities, with the former ranked joint ninth for the ‘employer activity’ indicator, demonstrating that Australia is an excellent place both for studies and post-graduation opportunities. The beautiful island of Malta is not just an ideal holiday destination – it’s also perfect for expat women looking for a positive work-life balance. Although it gets its lowest rating for career prospects, it’s still above the global average. It’s perhaps no coincidence that the Netherlands rates so highly with expats, as it has one of the shortest working weeks in the world, at 29 hours, leaving plenty of time to enjoy the nation’s famed café culture. Also, an incredible 92 percent of women say they’re happy with the economy here, compared to a global average of 63 percent. Heading back to Oceania, New Zealand is rated seventh overall among the list of best places to work abroad according to women, with one female expat citing the “ease of getting jobs and starting a business of our own.” It’s also undoubtedly one of the most beautiful countries in the world, also boasting a high quality of life, a progressive society, and very friendly and welcoming locals. 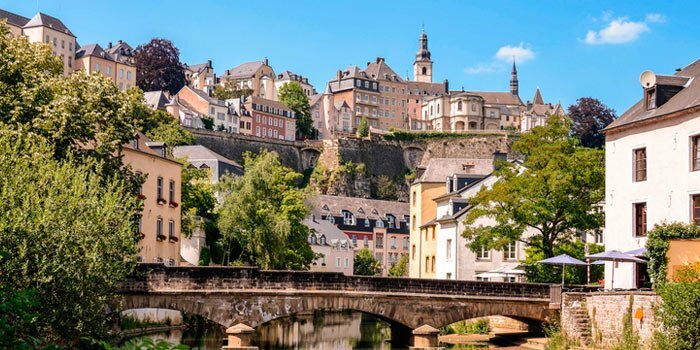 A small and wealthy European country, Luxembourg is placed sixth among the best places to work abroad, and proves to be a highly lucrative choice, with more than three-quarters of female expats working in Luxembourg stating that they believe they earn more than they would in a similar position back home. Luxembourg also has one of the lowest gender pay gaps in Europe. Heading to Scandinavia, Denmark is currently the third-happiest country in the world according to the latest World Happiness Report. Working hours are low and expat women enjoy a positive work-life balance, with 84 percent stating they’re happy with their work hours. In fact, Denmark receives the highest score for work-life balance in the survey. Norway claims fourth place among the list of best places to work abroad as a female expat, with one British respondent citing how the country gives her the “opportunity to live a healthy life with a good work-life balance”. It’s also the second-happiest country in the world as of the World Happiness Report, with low crime rates, a booming economy and beautiful natural landscape of fjords and mountains. Taiwan climbed from 11th in 2017 to rank as the third-best location for women looking to work overseas, thanks to women’s higher satisfaction with their work hours and career prospects. One of the ‘Four Asian Tigers’ alongside Singapore, Hong Kong and South Korea, Taiwan is particularly alluring for expats looking for roles within the growing tech industry, with capital city Taipei known as one of the global cities in technology and electronics. Also voted the best expat destination overall when considering both genders, the small Middle-Eastern island nation of Bahrain comes second in the list of best places for women to work abroad. 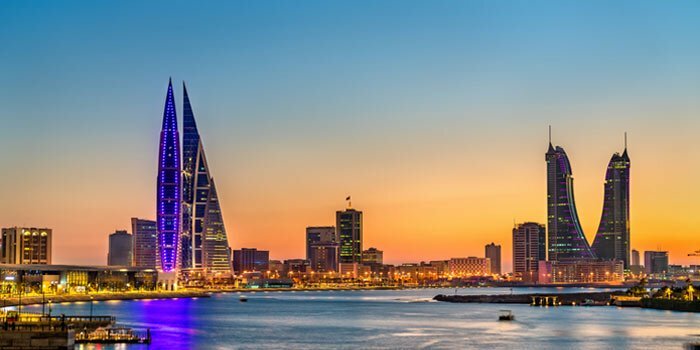 Bahrain has invented heavily in the banking and tourism sectors in recent years, with capital city Manama home to over two hundred financial institutions and banks. It’s also been praised for having the ‘freest economy in the Middle East’. And finally, the number one location for women working abroad is the Czech Republic – with an impressive 83 percent of women saying they’re satisfied overall with their jobs (11 percent higher than the figure for men). It’s popular with international students and expats alike, with both Prague and Brno ranked among the top 10 best student cities according to students themselves in the QS Best Student Cities index, thanks to their vibrant cultures, affordability, tolerance and inclusivity. Some locations were less popular with female expats, with Greece coming last due to its difficult economic climate in recent years. Italy was next due to its low salaries in relation to high living costs, followed by Serbia, Argentina, Turkey, Myanmar, South Africa, Romania, Kuwait and Egypt. Other reasons given for these destinations’ poor ratings in the survey were low salaries, lack of job security, and lack of opportunities available for those who don’t speak the local language. However, Myanmar was praised for its friendliness, and 66 percent of female expats were satisfied with their job security (higher than the global average of 58 percent). Do you agree or disagree with the findings of the Expat Insider report? Share your thoughts in the comments below!